My long term followers will know I'm a history fan. I couldn't teach it without being super geeky over it. I'm a modern history at heart and thanks to my history teacher I love anything involving the suffragettes. Luckily for me there seems to be an enormous amount of books being published this year and I was so glad I started with this one. Hearts and Minds looks at the stories of the ordinary women of the suffrage campaign with more of an emphasis on the work of the suffragist movement. 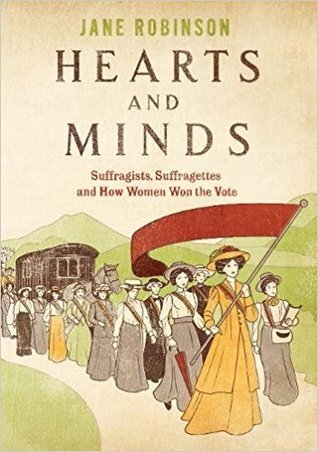 I loved it because it gave me a real insight into the suffragist campaign which I never knew much about and having read this book I was all the poorer for not knowing more about them. Their efforts and resilience was amazing and I was over awed learning about the efforts they went to to secure women the vote, tackling the issue in a calmer manner than their militant counterparts in the suffragettes. I particularly loved learning about the role of Elizabeth Garrett Andersen in the campiaign having only come across her previously as the first women to qualify as a doctor in the UK. I also loved this book because of the stories of individuals involved with the campaign, both suffragette and suffragist such as the story of the suffragette who refused to wear her prison outfit as a protest for not being treated as a political prisoner and sat in her cell naked and when they authorities tried to put her in a straitjacket as a punishment she was so slim that she just wriggled out of it. In short I loved it and I can definitely see me picking up my own copy sooner rather than later. I love a Jenny Colgan book. 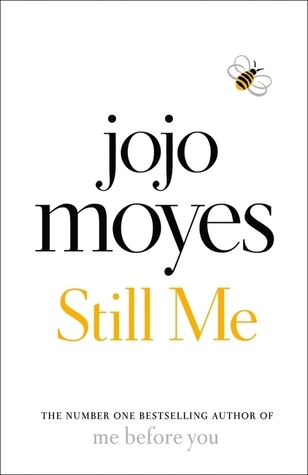 Having only discovered her in the last year or so she's now one of my most read authors of all time as I'm managed to work my way through a significant chunk of her backlist. The Endless Beach is set back on the Isle of Mure and back to the story of Flora from The Summer Seaside Kitchen. 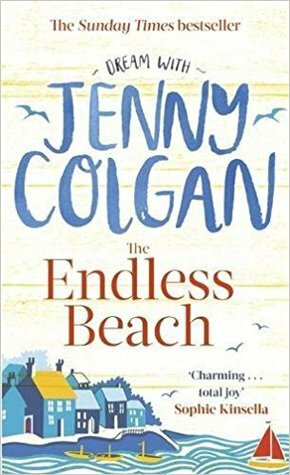 It's a perfect sequel to that book but what I love about Jenny's books is that even if you haven't read the previous book she includes a summary at the front of her books to remind you who everyone is and what happened in the previous book so you don't have to spend the first few chapters clueless. I loved getting back to Mure and spending more time with the characters. I read the first book in this series years ago and only managed to get to the sequel in the middle of last year when I picked it up in the library on a whim. I liked the previous two well enough but didn't get completely obsessed with them like other people seemed to. I did however really love this. I loved seeing Louisa as she goes out into the world and I loved following her New York adventure complete with the crazy super rich people she ends up working for. For me it was a lovely read which I really enjoyed and one I think could happily be read as a standalone.